Do you have a family on the go? If the answer is yes, the 2017 Chrysler 300 is the luxury sedan for you. This powerful full-size sedan is engineered to maneuver through traffic with ease, all while providing a quiet and smooth ride. This modern version of a classic sedan is well-equipped with the most popular technology and advanced safety features available today. You will enjoy the solitude of your morning commute to work as you are wrapped in luxury and your family will enjoy all of the standard amenities on family road trips. 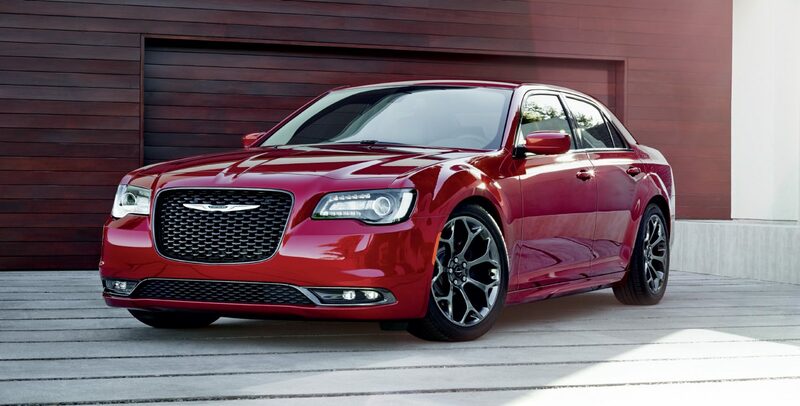 The 2017 Chrysler 300 was given an iconic design as the sedan for today's needs! When you are ready to test drive a 2017 Chrysler 300 near Belleville, IL or near Edwardsville, IL, please make us here at Cassens and Sons Chrysler Dodge Jeep Ram your first stop. Finding your new 2017 Chrysler 300 for sale in Glen Carbon, IL has never been easier. We have the largest 2017 Chrysler 300 inventory near Belleville, IL and near Florissant, MO. We are a full-service dealership, providing everything from financing, to service and repair on site. We look forward to matching you with your next new or used vehicle! 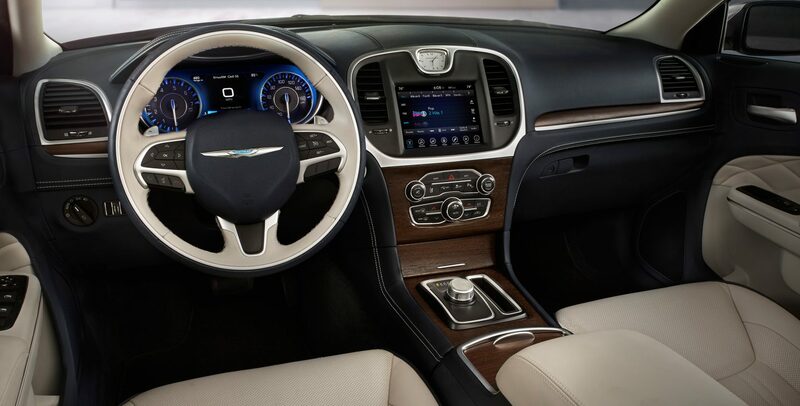 The equipment that comes standard on the 2017 Chrysler 300 screams luxury and high end. A leather-wrapped steering wheel, along with driver and passenger power 4 way lumbar adjust, are just a few of the comfort features included standard. A ParkView™ Rear Back-Up Camera is included to help guide you in and out of tight spots. Are you looking for even more luxury and technology? Consider adding a dual pane panoramic sun roof or blind spot cross path detection system. 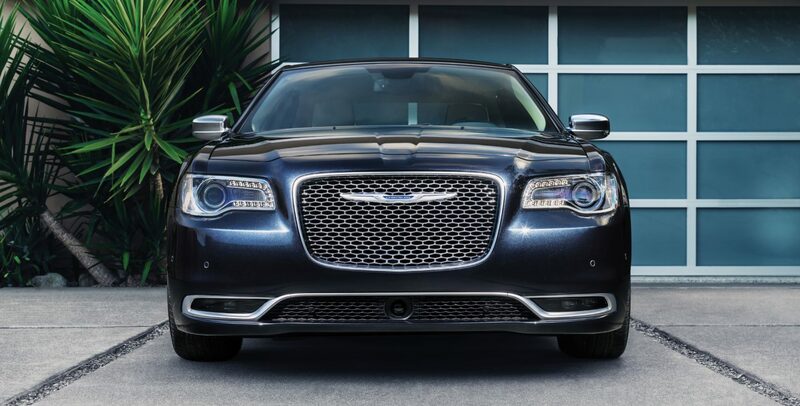 Total driving luxury can be yours, behind the wheel of a 2017 Chrysler 300 sedan! The bold and powerful 2017 Chrysler 300 is available with two highly capable engines. First is our award winning 3.6-liter Pentastar® V6 VVT engine with double overhead cams and 24 valves. This efficient engine delivers up to 300 horsepower and 264 lb-ft of torque. If more power is what you seek in the Chrysler 300, the available 5.7-liter HEMI® V8 MDS VVT engine with Fuel Saver Technology delivers up to 363 horsepower. It is the most powerful V8 engine in its class. Electric power steering and all-wheel-drive add to excellent handling and control. Each of these engines is paired with an 8-speed automatic transmission. We here at Cassens and Sons Chrysler Dodge Jeep Ram in Glen Carbon, IL can help you decide on the model, optional equipment, and available packages that would best suit your travel requirements. Come by and test drive the 2017 Chrysler 300 and experience the bold luxury and smooth ride for yourself!